Ian MacGillivray was born in Inverness and brought up in northern England. As an undergraduate at Maidstone College of Art, he began to specialise in landscape painting. After leaving college in 1987 he returned to Scotland to pursue his passion for painting the Highland scene, developing a special affection for red deer. After holding two consecutive sell-out shows at the Moy Game Fair, MacGillivray's local reputation was established. 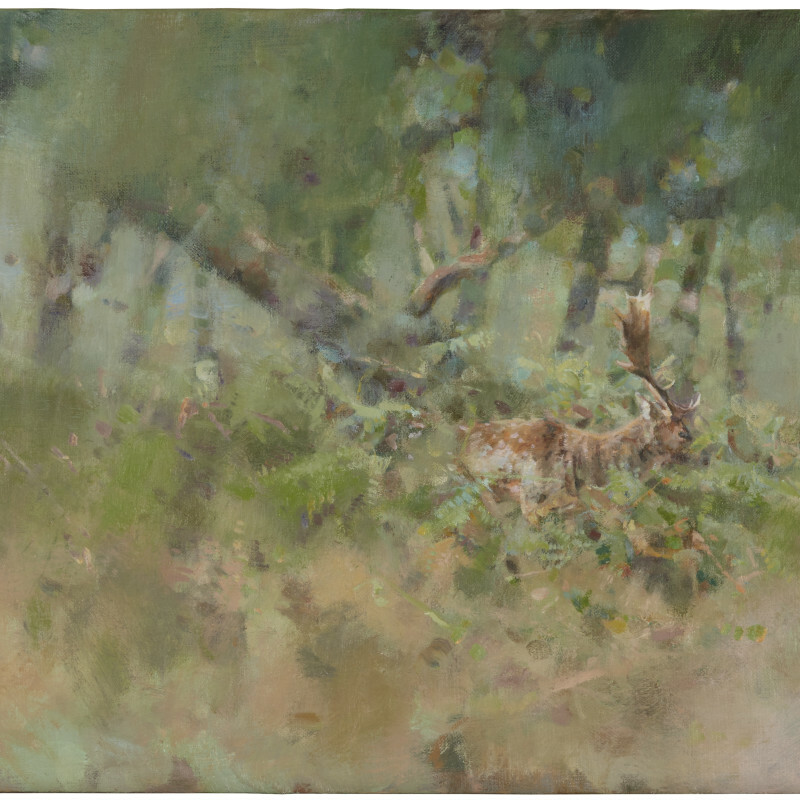 He subsequently exhibited at galleries throughout Scotland and won first prize in the Birtish Association of Shooting and Conservation National Wildlife Artist's Competitionin in 1992. MaGillivray aims for an authentic depiction of wildlife in its natural habitat. The remarkable qualities of atmosphere and light he achieves are the result of his working methods, making oil studies and sketches en plein air.